This knot was designed for as a wedding gift of a couple whose initials are A and K. The two letters were the logo for their wedding. 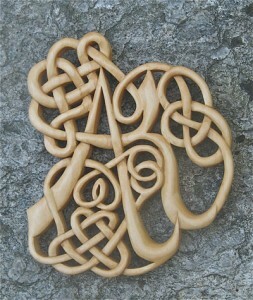 The knot-work added an extra dimension. It is carved from white birch and carved on one side so that it could be framed or mounted on a wall.